"Wildwood is a spunky and very sweet pup." A maintenance man was taking out the trash on the streets of Philadelphia last week when he suddenly realized the trash heap he was about to add on to was moving. 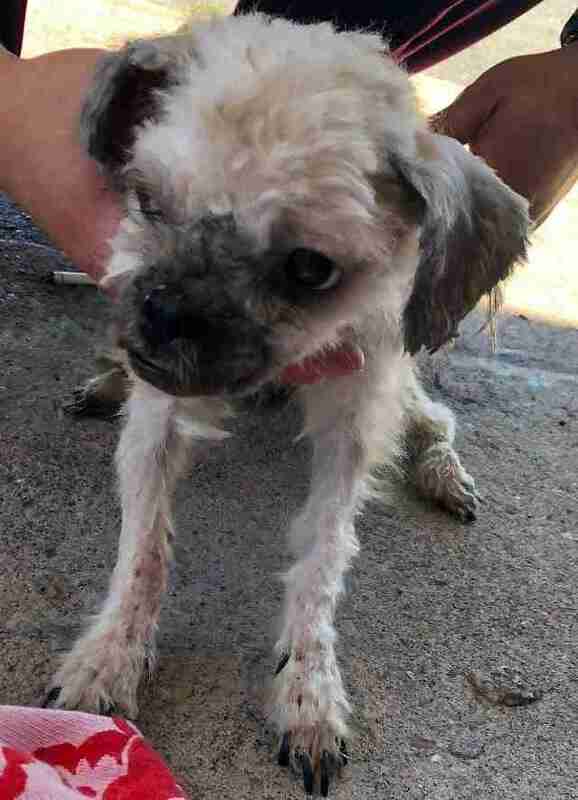 He ran back inside the building to grab some other staff members, and together they all carefully dug through the trash — and found the tiniest, skinniest dog, confused and waiting for someone to finally notice her. 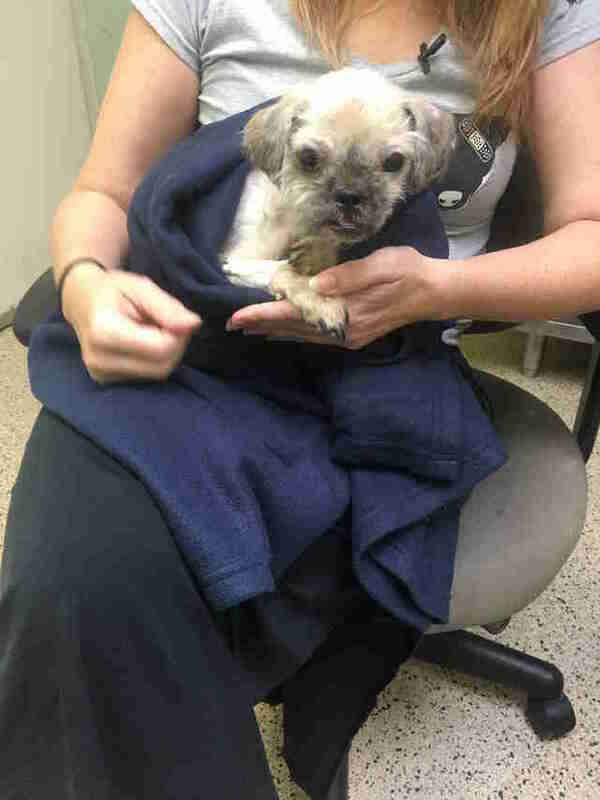 The little Shih Tzu was wrapped up in a plastic bag and stuffed inside a black purse. 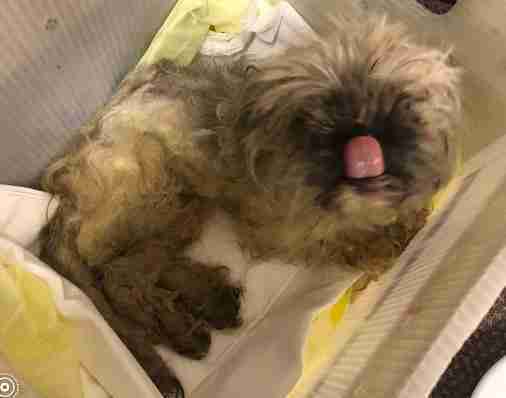 Someone had intentionally thrown her out like garbage, and if she hadn’t been moving around so furiously, trying to break free, she may never have been found at all. She was quickly taken to Tiny Paws Rescue, and from there was transferred into the care of the Pennsylvania SPCA. 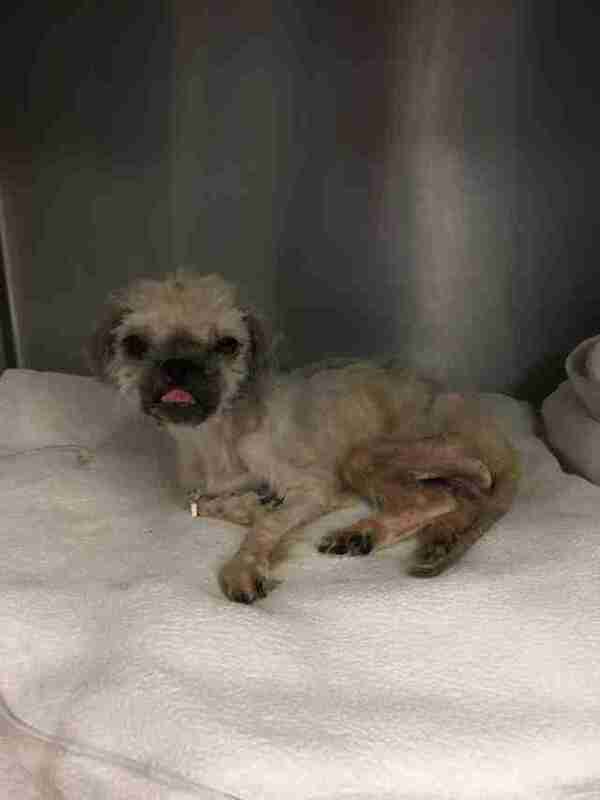 She’s now recovering at its shelter hospital, and staff there decided to name her Wildwood. After examining her thoroughly, the staff determined that Wildwood also suffers from dental disease and a heart murmur. Her fur was severely matted and her nails were overgrown, but after a little love and care, Wildwood is already looking so much better. She also seems to be feeling a little better, too, and the more time she spends with her new friends at the shelter, the more her adorable personality continues to break through. Even though Wildwood is on the road to recovery, she still has a long way to go. She’s very skinny and the shelter is actively working to help her put on weight. They’re also worried that the reason she’s not using her back legs may be neurological, and will have to wait and see if she’ll start to use her legs again as time goes on. In the meantime, Wildwood is loving every minute of her life off the streets and safe in the arms of new friends, and continues to gain confidence every day. “Wildwood will be up for adoption, but we are quite a ways away from that right now,” Kocher said. To help other animals in need, you can donate to the Pennsylvania SPCA.